The world leading company Asus Republic of Gamers announced GeForce GTX 1080 with full VR ready gaming graphics card which renders ultra fast gaming performance, high-end cooling and long-lasting reliability and stunning styling. The GeForce GTX 1080 has powered with the 1898 MHz boost clock in gaming mode and 1936 MHz boost clock on OC mode, which delivers up to 6.5 percent lightning fast performance in 3D Mark Mark Fire Strike Extreme and 7.4 percent gaming performance in Hitman. 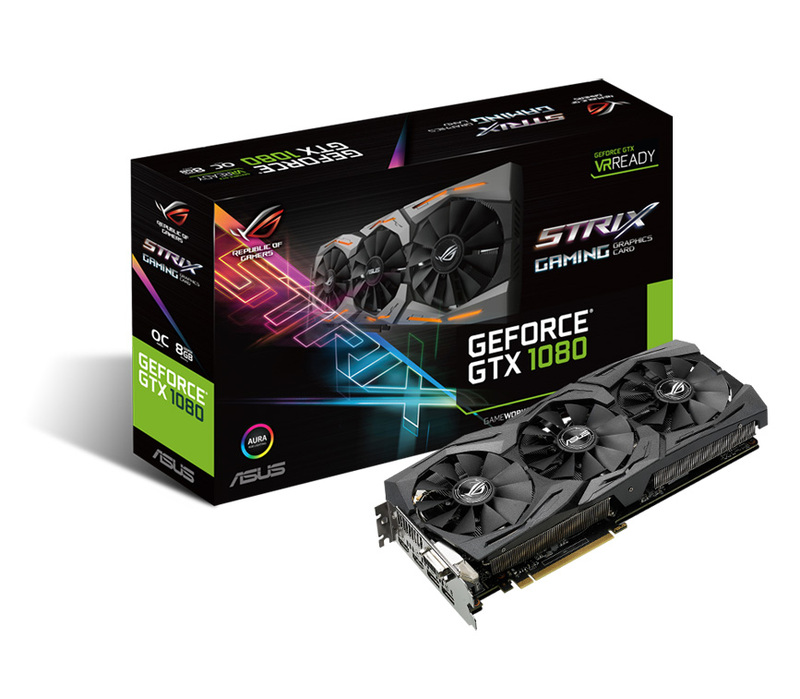 ROG Strix GeForce GTX 1080 is held with full gaming personalization with Aura RGB lightning. The great graphics card comes forth with a VR friendly design embedded with two HDMI ports which offers users to any time connect to VR devices to their systems for marvelous gaming. The GeForce GTX 1080 has a GPU Tweak II with XSplit Gamecaster for high-end performance tweaking and instant gameplay streaming. The Asus Graphics Card is packed with advanced Asus technologies, which includes DirectCU III with a patented triple wing blade up to 0db fan design to deliver max airflow for 30 percent extra cooling up to three times greater quite a performance and FanConnect which features fan headers controlled by the GPU for effective cooling.